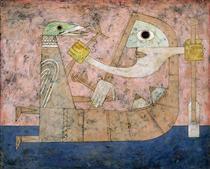 Victor Brauner is the most important painter of the Romanian avant-garde. 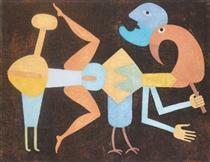 After his early Impressionist and Expressionist works, he has contributed to every avant-garde movement/group. 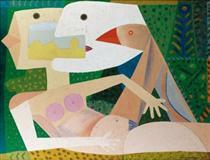 However, most of his oeuvre fits within Surrealism, Brauner being regarded as one of the major pre- and post-war Surrealist painters. 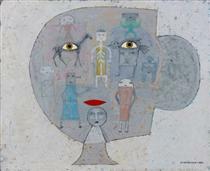 Victor Brauner (Romanian: [ˈviktor ˈbrawner], also spelled Viktor Brauner; 15 June 1903 – 12 March 1966) was a French Romanian sculptor and painter of surrealistic images. He was born in Piatra Neamț, Romania, the son of a Jewish timber manufacturer who subsequently settled in Vienna with his family for a few years. It is there that young Victor attended elementary school. When his family returned to Romania in 1914, he continued his studies at the Lutheran school in Brăila. 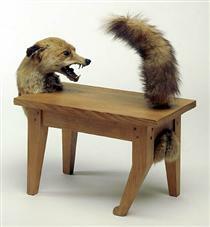 His interests revolved around zoology during that period. 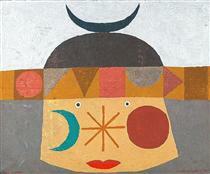 He attended the National School of Fine Arts in Bucharest (1916–1918) and Horia Igiroşanu private school of painting. He visited Fălticeni and Balcic, and started painting landscapes in the manner of Paul Cézanne. 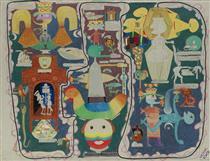 Then, as he testified himself, he went through all the stages: "Dadaist, Abstractionist, Expressionist". 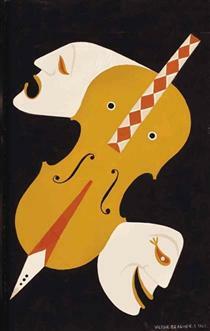 On 26 September 1924, the Mozart Galleries in Bucharest hosted his first personal exhibition. In that period he met poet Ilarie Voronca, together with whom he founded the 75HP magazine. 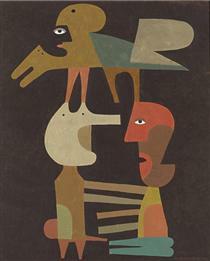 It was in this magazine that Brauner published the manifesto The Pictopoetry and the article The Surrationalism. 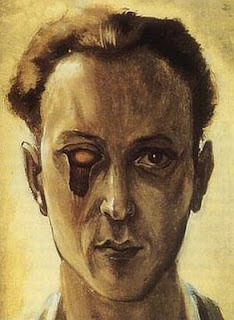 He painted and exhibited Christ at the Cabaret (in the manner of George Grosz) and The Girl in the Factory (in the manner of Hodler). He participated to the Contimporanul exhibition in November 1924. In 1925, he undertook his first journey to Paris, from where he returned in 1927. 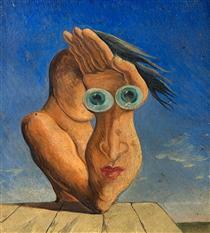 In the period 1928–1931 he was a contributor of the unu magazine (an avant-garde periodical with Dadaist and Surrealist tendencies), which published reproductions of most of his paintings and graphic works: "clear drawings and portraits made by Victor Brauner to his friends, poets and writers" (Jaques Lessaigne – Painters I Knew). 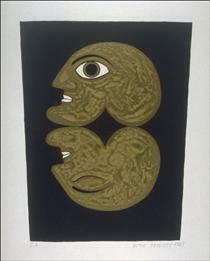 In 1930, he settled in Paris, where he met Constantin Brâncuși, who instructed him in methods of art photography. 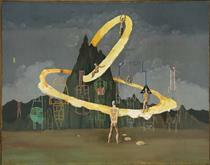 In that same period he became a friend of the Romanian poet Benjamin Fondane and met Yves Tanguy, who would later introduce him to the circle of the Surrealists. He lived on Moulin Vert Street, in the same building as Alberto Giacometti and Tanguy. 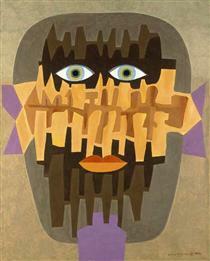 He painted Self-portrait with enucleated eye, a premonitory theme. 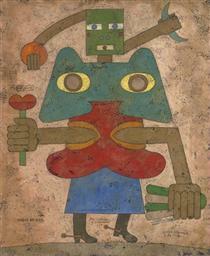 In 1934 André Breton wrote an introduction to the catalogue for Brauner’s first Parisian solo exhibition at the Pierre Gallery. 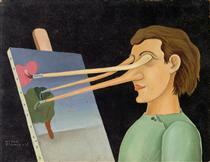 The theme of the eye was omnipresent: Mr. K's power of concentration and The strange case of Mr. K are paintings that Breton compared with Alfred Jarry’s play Ubu Roi, "a huge, caricature-like satire of the bourgeoisie". 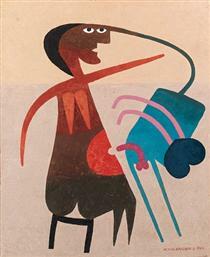 Another remark about Brauner’s participation to Surrealist exhibitions: "Despite its appearance of abstract formula … this trend is a point of transition to the art that is to come" (Dolfi Trost, in Rampa of 14 April 1935). 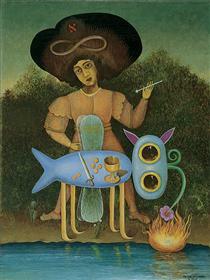 In Cuvântul liber of 20 April 1935, Miron Radu Paraschivescu wrote in the article Victor Brauner’s exhibition: "In contrast to what one may see, for instance, in the neighboring exhibition halls, Victor Brauner’s painting means integration, an attitude that is a social one, as far as art allows it. 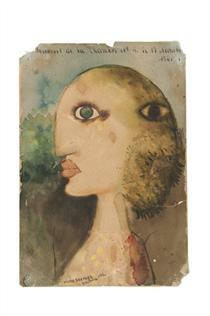 For V. Brauner takes attitude through the very character and ideology of his art". On 27 April, he created the illustrations for Gellu Naum’s poetry collections – The Incendiary Traveler and The Freedom to Sleep on the Forehead.